Catholic Charities is proud to have launched our monthly giving program, Cornerstone of Charity. We truly regard these donors and their consistency as a foundation, a cornerstone, on which we build our agency. 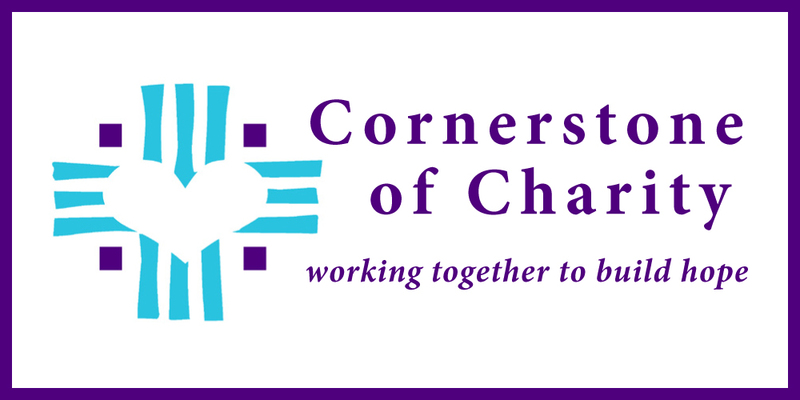 Becoming a member of Cornerstone of Charity means your monthly donations will help Catholic Charities to budget more effectively and accurately because it levels out the peaks and valleys in donations throughout the year. Most importantly, it cuts administrative costs due to processing checks and credit cards meaning that more of each donation gets to where it is intended to go. That means that more of your donation will go directly to where it is needed, in service to others. We believe that this method of giving is also easier for you, the donor. It eliminates the need to track down an appeal envelope and write out a check each time you wish to make a gift. Gifts would be withdrawn each month on the same day for the same amount with an end-of-year statement of that year’s giving. $10 provides daily essentials to someone who is homeless in our community. $16 provides a night of shelter for a guest at one of our homeless facilities. $23 allows us to provide a 24/7 pregnancy support crisis line. $33 allows one of our trained social workers to meet with a struggling birth mother and help her choose life. $60 covers a month’s utility costs of someone recently housed in our Beyond Shelter program. $99 enables Catholic Charities’ Financial Advocates to conduct an open intake day to meet with anyone needing financial assistance. If you are interested in making monthly contributions or learning more about Cornerstone of Charity, please contact us. Thank you!